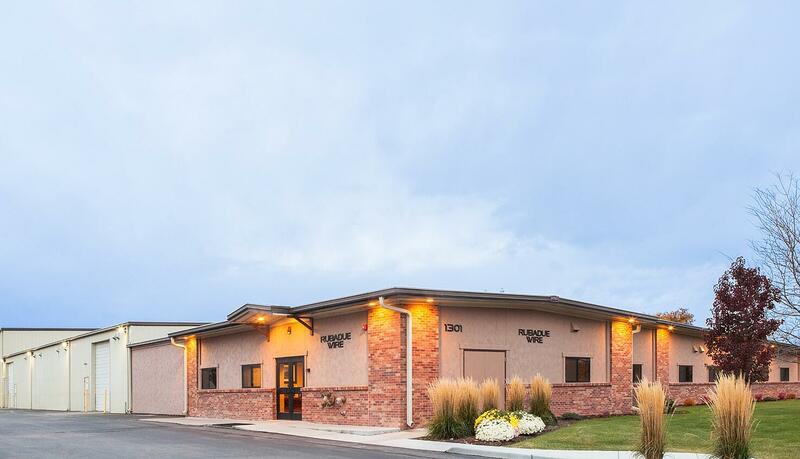 Rubadue Wire in Greeley, Colorado has been manufacturing extruded wire and cable products since 1977. Mardelle Thompson, the company’s production control manager, ships products around the world with a major share going to Hong Kong, China, Germany and The Philippines. The company specializes in insulating materials such as Teflon® and Tefzel®. They are known for setting the standard in quality and has products in medical devices, automobiles, appliances and consumer electronics. Mardelle has been using Shipping Solutions software for eight years and is currently running the latest version of Classic. She said her department processes on average of 28 shipments a month in shipping solutions. The size of shipments leaving the Rubadue Wire factory varies widely. “Our shipments can be anywhere from one pound to thousands of pounds.” Mardelle explains. 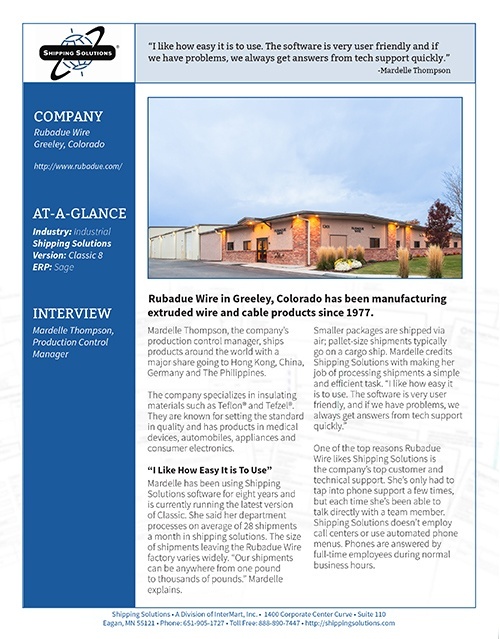 One of the top reasons Rubadue Wire likes Shipping Solutions is the company’s top customer and technical support. She’s only had to tap into phone support a few times, but each time she’s been able to talk directly with a team member. Shipping Solutions doesn’t employ call centers or use automated phone menus. Phones are answered by full-time employees during normal business hours. Mardelle adds the Rubadue Wire logo to the forms, and the final effect is highly professional. She says the freight forwarders often comment about how thorough and detailed Rubadue is processing shipments. “Forwarders have asked us who we use to create our forms,” she says. With Shipping Solutions she says she just enters data into the basic fields, and the program automatically populates all the required forms for the order. “That’s why we can do it in 5 or 10 minutes versus 20 or 30 minutes to write out each form. It does save us a lot of time in the long run!” says Mardelle. “You could imagine how much time Shipping Solutions would save us if we had to fill out two forms by hand for 28 shipments a month,” she summarizes.